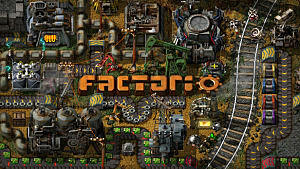 Factorio, the indie factory building game developed by Wube Software, is rather complex game with a lot to learn. Getting started might seem daunting at first, but all it takes is a little know-how to get things started properly, giving yourself the basis to build a rather impressive self-sustaining factory, explore the world around you, and even build rockets to send into space. 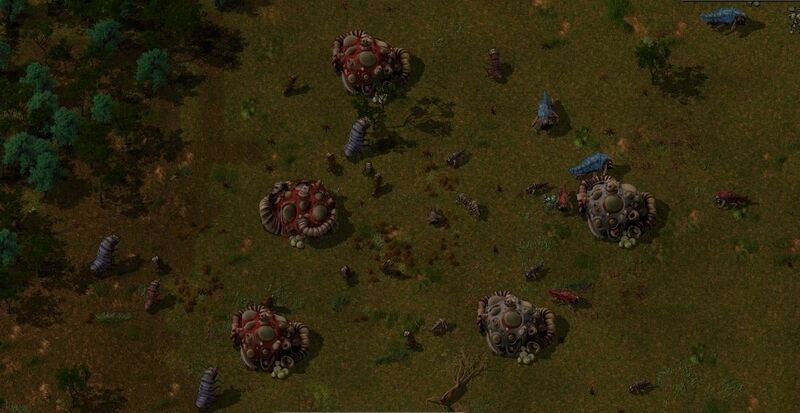 Of course, you'll have to get your factory running productively and build up your defenses as early as possible. 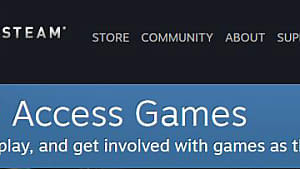 While the depth of the game makes it impossible to put everything you'll need to know about the game in one guide, we can give you the tools you need to get started. Here's we've compiled several tips that will get you up and running in no time. Here, we've compiled several tips that will get you up and running in no time. It may be tempting to just jump into the custom scenarios and start building. But trust me... you're doing yourself a great disservice if you don't spend at least a little time in the campaign mode first. 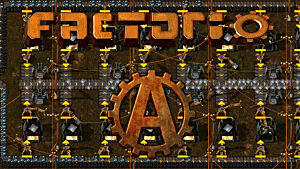 These short, objective-based games also function as a tutorial, explaining the basics of how to acquire resources and build the base structures needed to get your factory going. 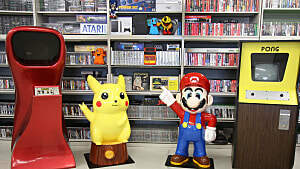 You'll also be introduced to some of the local creatures and what you need to do to protect yourself from them. Take advantage of "Peaceful Mode"
Factorio allows you pretty complete control over most modes of play, giving you access to a wide range of settings. One setting you can really use to your advantage is the option to set the game to "Peaceful Mode." Unlike creative mode in Minecraft, this setting will not get rid of the enemy. It will, however, make them passive; they won't attack until you invade their space. In normal mode, the enemy is always on the move and you can expect them to come after you -- and anything you've built. So, this is a great way to give yourself a solid start before you have to get into a fight. When using peaceful mode, you will still want to know where the enemy is. (Actually, you'll want to know in any mode.) This is where the mini-map comes in handy. The enemy will be indicated by little red pixels, which are easily seen on the map. A large cluster of red pixels will indicate an area you might want to avoid for a while. The mini-map will also indicate different resources with different colored pixels, such as orange for copper. As with any base-building/survival game finding the perfect location is everything. 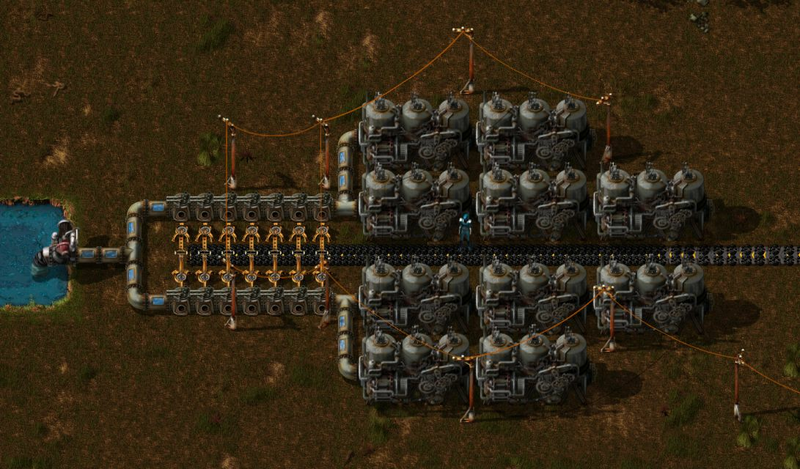 You want to be certain you have access to just what you need to get started without having to walk all over the lace to collect all those items -- or build insanely long conveyor belts to automate production. 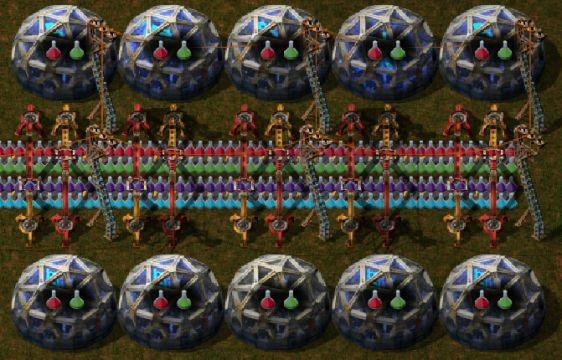 When starting to build in Factorio, you'll want at least four different resources as close to each other as possible: stone, coal, iron ore, and copper ore. The stone, iron, and copper will all be used as building materials, while coal will be necessary to produce energy. Stone and iron will be used in some of your earliest builds, including staples like furnaces and burners. 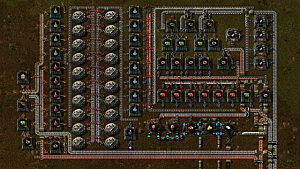 Copper is necessary for more complex builds involved in creating electrical power and automation. Note that in a pinch, wood can be used in place of coal, but you're not going to want to depend on that for long. When picking a spot, also keep in mind that having water nearby will be a huge plus later on, when you start working on electricity. I know you're probably already ready to go on getting those mines and furnaces placed, but as with any base building game, you're going to have to start out small and build some hand tools -- in this case a pickaxe. Yes, you're going to have to do some mining by hand before you'll have enough to get everything rolling. Keep in mind that the pickaxe will take damage, so you'll want to make several of them. As soon as you're able to build burner miners, you'll want to do so. 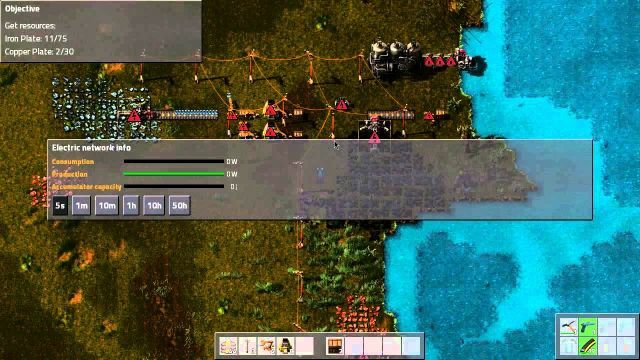 You will need a lot of coal to get anything done in Factorio, everything from smelting to generating electricity relies on coal. Automating coal mining even requires coal. Rather than just building one miner and walking away -- or building one that drops into a chest -- build two miners and have them face each other. Doing this will allow them to feed each other the coal they are mining, keeping each other active without you having to come by periodically and add more coal. Don't worry, the burner miners will not burn coal as quickly as they mine it. So you can come by occasionally and take what you need from them and they'll keep going. 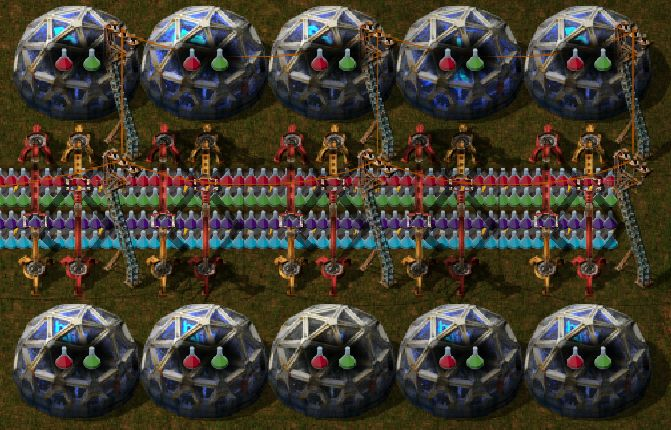 As you progress, you can actually add more burner miners, and other processing equipment to the process by building them in interconnecting circles. Once you have coal mining set up, you can work on getting electricity going. This is going to require a little more work as you'll need to build an offshore pump, steam engines, electrical poles and more, but it's worth it. With electricity, you can keep your operation running with less effort... and you can get started on research. Starting out, you can set up a small, production area. One or two steam engines and an offshore pump will do it. But keep in mind that the more you build, the more power you are going to have to generate. The best thing you can do is set aside an area where you can grow your power plant. Plan big and leave plenty of space to add more steam engines as you go along. Also, remember that while electricity will do wonders for your building process, you will still need to keep that coal mining operation going strong. Your electricity is generated using steam, after all. If you're not playing in Peaceful Mode, you're going to want to get a head start on protection. The first thing you will want to do is arm yourself, as there is no one else there to protect you. 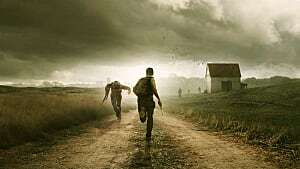 The game offers a recipe for a pistol right at the start, and will allow you to build an automatic rifle and armor as time goes on and you invest in research. 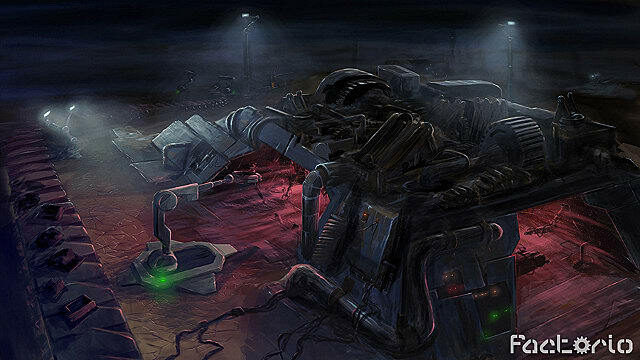 However, there are a lot more of those big bugs running around than there is of you so you're really going to want to get going with a turret system and walls as quickly as possible. There are a couple of things you can do to start small and save a bit on wall creation. The most obvious is going to be to start with a small area and wall it in, placing turrets at key points to keep the enemy down. From there you can add on to the existing wall system either by building bigger walls around the initial one or by adding on "rooms." Another option is to take advantage of the landscape. If you happen to be in an area with a lot of water surrounding you, you can build walls between the bodies of water. This will save on time and resources. Just remember to set up your turrets. Later, you can even add to the system using conveyor belts designed to move the enemy away from the walls and prevent them from being able to tear them down. While you will start out the game with a variety of recipes for things to build. These are definitely not all the things you can build. The catch is, you effectively have to "learn" how to make these things... things like armor, and gates for your walls, and new ways to mine and process ores. This learning comes from research, which is done in science labs. Of course, it is going to cost you, so you will want to really look over your options and not just research things without a plan of what it is you're wanting to do. In order to do research, you'll need to create "science packs." These are crafted using materials you will likely already have on hand from just doing basic mining and production. What this does mean, however, is that those materials will not be available to use for something else. So, when beginning any research, know exactly what you're going for. Also, keep in mind that you can only research one item at a time. Because of this, it may seem silly to build more than one science lab. The upside of doing this is that you can have multiple science labs research the same thing and cut the time needed for the research down. Just remember, each lab will need to have science packs dropped into it in order to work. Yes! Seriously, get in there and start building. These tips will give you a great advantage starting out, but the one real trick is to just get in and get your hands dirty. Start building things, see how they work together, and don't be afraid to tinker. Much like any base building game, there's a lot to learn here... probably more than we're aware of. Remember, one of the great things about games like this is that the players have the opportunity to innovate and create systems for doing things that no one's thought of before. So get building and have fun.